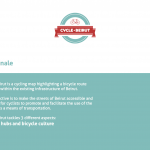 Cycle Beirut is a cycling map highlighting a bicycle route network within the existing infrastructure of Beirut. 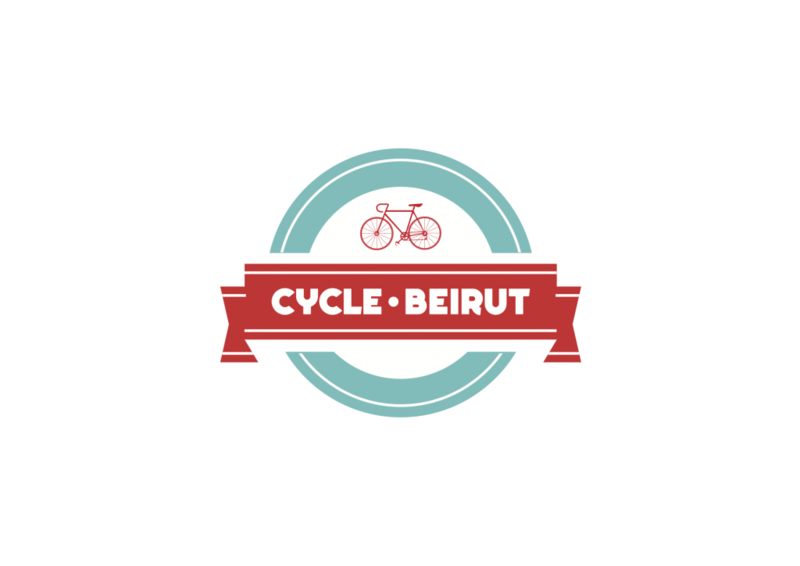 Our objective is to make the streets of Beirut accessible and efficient for cyclists to promote and facilitate the use of the bicycle as a means of transportation. 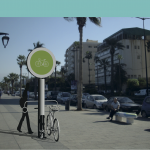 Cycle Beirut solves the barrier of the bicycle not being embedded within Beirut's street culture and means of transportation. Beirut city has no proper infrastructure to accommodate cyclists. 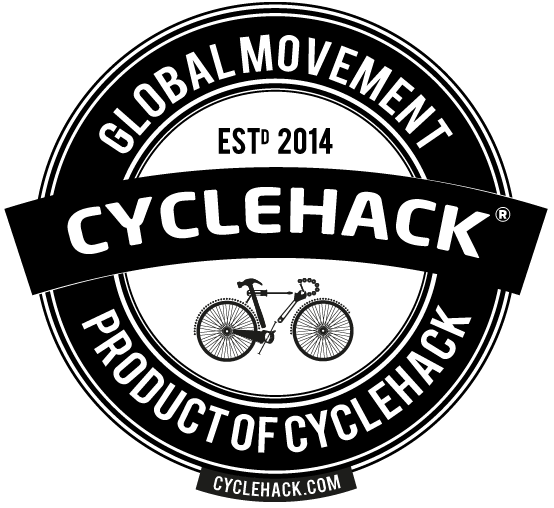 The bicycle routes are only known by the very few professional cyclists who already cycle in the city. 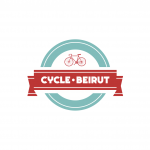 Beirut Cycle aims to highlight the existing infrastructure of Beirut and point out a bicycle street network already used by cyclists to non-cyclists to make cycling accessible and efficient for everyone in the city. 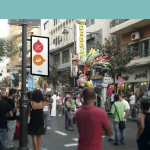 It also promotes the use of the bicycle as a means of transportation and by planting bike related street furniture in the streets, it introduces cycling as part of Beirut's street culture. 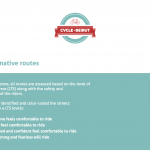 In every zone, all routes are assessed based on the level of traffic stress (LTS) along with the safety and comfort of the riders. 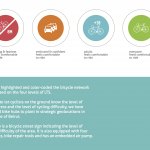 We have highlighted and color-coded the bicycle network route based on the four levels of LTS. 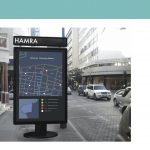 In order to let cyclists on the ground know the level of traffic stress and the level of cycling difficulty, we have designed bike hubs to plant in strategic geolocations in each zone of Beirut. Each hub is a bicycle street sign indicating the level of cycling difficulty of the area. 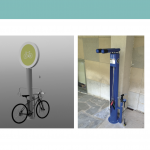 It is also equipped with four bike racks, bike repair tools and has an embedded air pump. 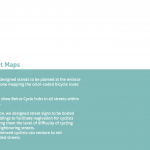 We also designed stands to be planted at the entrace of eace zone mapping the color-coded bicycle route network. 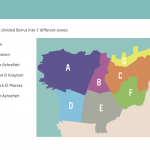 The map show Beirut Cycle hubs in all streets within the zone. 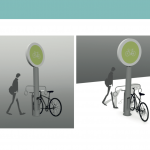 In addition, we designed street signs to be bolted onto buildings to facilitate nagivation for cyclists by showing them the level of difficulty of cycling in the neighbouring streets. Eg: experienced cyclists can venture to red color-coded streets.